If you’ve just taken up running, you probably think the start is simple: put your trainers on… run as far as you can… and then run a little further the next time… However, like most things, the reality is a little more complicated. 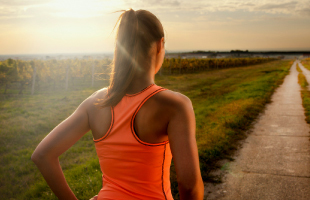 Here are some tips to make the most of your running program and avoid injury. Rest is actually a big part of a training program. Your body needs time to recover, make changes to your cardiovascular system and rebuild muscle. Not giving yourself adequate time to rest leads to greater risk of injury and you won’t improve as quickly as you might think. Aim to run three times a week. Even if you are trying to improve endurance, you maybe surprised to hear that increasing strength may make a big difference. Particularly if you focus on specific muscles and movements that may be weaker on one particular side of the body. This may lead to altered technique (gait pattern) in the latter part of your run i.e. when you’re shattered. Which is why strength training is an important part of injury prevention. Edinburgh Sports + Spinal Physiotherapists can help you to identify any weaker muscles and develop a strengthening program to help improve your movement patterns for running technique. As a beginner, running on hard or uneven surfaces may lead to a greater risk of injury than running on grass. Running on softer surfaces allows for more distribution of forces through your feet and body. Running shoes that fit properly and provide necessary support is an essential part of your injury prevention plan. Speak with to someone at running shop e.g. one of the following Edinburgh based shops are a good start www.runandbecome.com or www.run4it.com. At both the beginning and at various stages of your training (e.g. as you improve/ push your abilities forward), there will be many aches and pains…. Most of which only last for a day or two, which are known as DOMS (delayed onset muscle soreness). DOMS is normal, yet an annoying part of getting stronger. However, if pain feels more serious, lasts greater than 48-72 hours, or prevents you from walking/running, then this is the time to speak to a professional. Running injuries do happen and can take a while to resolve. Early treatment and intervention is the best option for good outcomes. 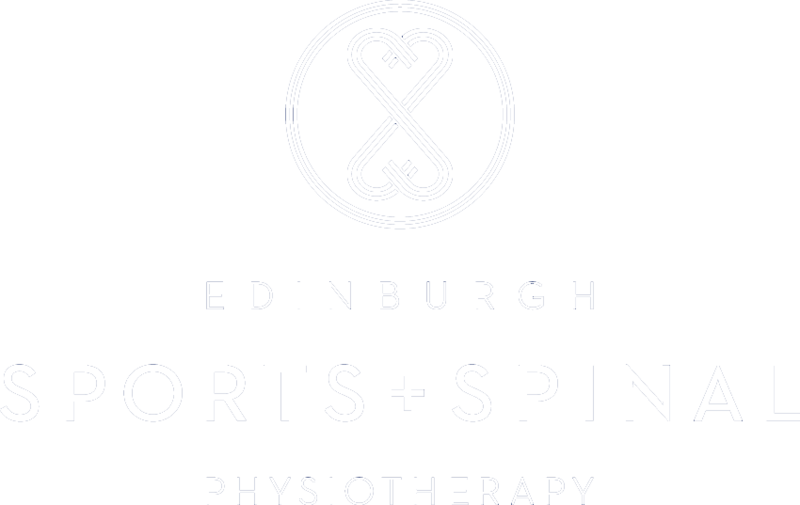 Speak to Edinburgh Sports + Spinal Physiotherapy for more practical tips on how to improve your running and prevent injuries. Running is a great way to stay in shape, manage stress and increase your overall wellbeing, however it’s not without it’s drawbacks. While being a lower risk activity, there are a number of injuries that commonly affect runners. Due to the repetitive nature of running and impact involved, most running injuries develop gradually over time, which can often be difficult to treat. Here are three of the most common conditions faced by runners. Runners knee can be experienced as a persistent pain within the knee, caused by dysfunctional movement of the kneecap during repetitive movement. The kneecap normally sits in the centre of the knee and glides smoothly up and down as the knee bends and straightens, in a process described as “tracking”. If something causes the kneecap to “track” abnormally, the surface underneath can become irritated and painful. The pain might begin small, however left untreated, runner’s knee can make running too painful to continue. Shin splints is another common condition, characterised by a recurring pain at the inside of the shin. While the cause of this condition is not always clear, it is usually due to repeated stress where the calf muscles attach to the tibia (shin bone). Pain in this area may occur due to a combination of factors, for example completing hills early and too frequently, or simply doing too much too soon. However, the cause can be multifactorial, and it is often best to discuss this with a physio, who will be able to help you return to running as soon as possible. The Achilles tendon is the thick tendon at the back of the ankle, attaching the calf muscles to your heel/foot. The amount of force that this tendon can absorb is incredibly impressive and it is vital in providing the propulsive force needed for running. If the stresses placed on the tendon exceed its strength, the tendon begins to change and become inflamed and painful. Chronic Achilles conditions whereby this process occurs recurrently may result in a lengthy recovery, it is therefore advised to seek advice early. The information in this newsletter is merely advice providing a brief overview. It should therefore not be treated as a replacement for adequate medical advice. It is advised that people always see a medical professional for advice on their individual injury.